Reader, if you can believe it, things got worse from there. 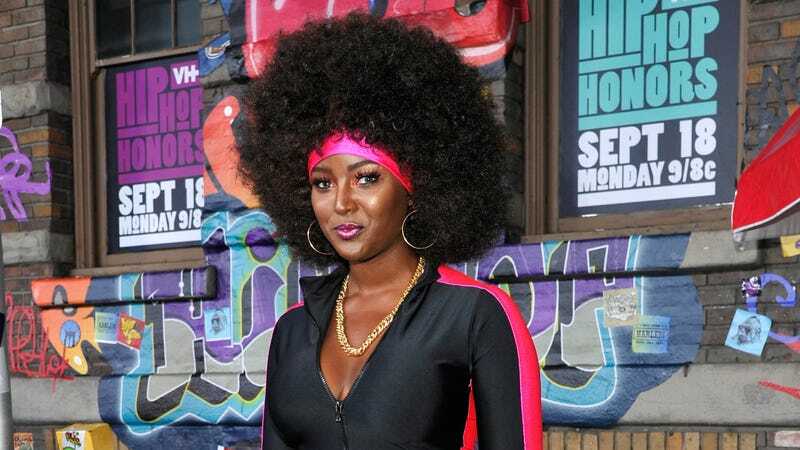 Just a few days later, various people started accusing Amara on Twitter of wearing blackface. Variations on this terrible rumor included that it looks like Amara receives melanin injections or that she spray tans to appear darker-skinned than she really is; some have suggested it’s her light eye color that makes people suspicious of her skin tone (ooookay), or that her facial features are too European for Amara to come across as authentically black. It seems people are all too ready to find a reason to discredit Amara as a black woman, or a Latina woman, or both. It is truly appalling that an Afro-Latina has to put up with this in 2018. To be a woman is to be questioned about your body and your choices at every turn; this is true even more so for black women and women of color. And while Amara continues to handle herself grace and self-possession, the onus shouldn’t be on her to change the conversation. We can and should do better than this. In the mean time, I’m just happy this girl got a multi-album record deal, hell yeah.